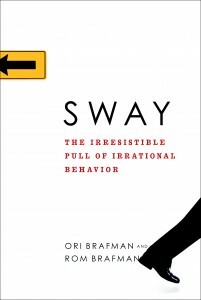 “Sway” by the brothers Ori and Rom Brafman is about “the irresistible pull of irrational behavior”. It was passed along to me after a friend enjoyed it and thought I would as well (which I did). It’s a fast, easy read in the style of a Malcolm Gladwell book or Freakonomics. The authors talk about the many reasons why we do irrational things, from both anecdotal and research-based perspectives. As an example of the type of ideas it covers, they consider NBA draft picks. While it isn’t a perfect system (Michael Jordan, considered by some to be the best basketball player of all time, was the 3rd pick in his draft year), drafting players is an important part of putting together a competitive team. Researchers found that players’ draft selection order pick was the variable most responsible for their court play time. So even if one player objectively outplayed another, if the weaker player was picked earlier in the draft they tended to get more time playing (and also tended to have a longer career). They call this diagnosis bias, where we find it hard to shake an initial assessment of a person or situation, even after we get objective evidence that we were mistaken. The halo effect is another description of the same phenomena. The rest of the book is set up in a similar way. There’s an engaging story (such as a plane crash, cultural effects on “Who wants to be a millionaire?” or Ferris Bueller), they point out the irrationality of the behaviour in the scenario, cite research into that area, and sometimes offer a counter to it. One of the suggestions that seemed very reasonable to me is a better approach to hiring employees. They make a convincing case that the unstructured interview (where the hiring manager chats with the potential employee to figure out if they’d be a good fit at the company) is a very bad way to evaluate if someone will be a good employee or not. They suggest that instead you select your employees using aptitude tests. For those who are most successful, use the “interview” to sell them on the company (and get them to agree to come work for you). In Malcolm Gladwell’s books he fits interesting tidbits into a larger model he develops over the course of the book. In Freakonomics they jump around unconnected, but interesting, facts and domains. This book, in between the two, wasn’t executed as well. While each element was connected to irrational behavior, it was hard to connect the ideas beyond that (and anyone could fill a book with anecdotes about irrational behaviour). I kept hoping there’d be a higher level insight that evolved, but there wasn’t. At the beginning of each chapter they give an obfuscated summary of the ideas to be presented (e.g. the preface was “Little house on the Tel Aviv prairie -> Asbestos and open-heart surgery -> Ignoring the O-ring -> Diagnosing the wrong patient -> Where psychology and business collide”). I thought this was a clever way to capture the reader’s attention (and you had an “a-ha” moment when you got to that part and understood what “Little house on the Tel Aviv prairie meant”). I wondered if maybe the authors mapped out the book using bullet points for the ideas then decided to keep their framework to hook the reader. 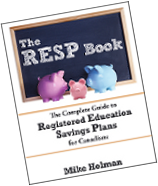 There are certainly elements of this book that are very relevant to personal finance. For example, it talks in one place about continuing to hold a stock as it drops to $0. However, I’d recommend this more as a pleasure read than something that will make you a better investor. I also read this book and liked it generally. It is a definitely a light read. I found the part about hiring employees to be interesting. I believe that they suggest that having an unstructured interview is valuable, after somehow assessing the potential employee’s aptitude. They discuss how asking pat questions such as “What are your strengths and weaknesses?” doesn’t really tell you much about the perspective employee, as most of us can easily learn and practice these types of questions (and who hasn’t!). Instead, the authors recommend that you, as the person with the hiring power, try to evaluate how you would get along with this person that you will be working with on a daily basis as well as their understanding of the company’s workings, job position, etc.